There are 5 posts tagged anger. The kindest thing we can do to ourself is to forgive the unforgivable. Our “enemy” may not deserve to be forgiven, but we deserve to be free. The earlier we realize that our anger doesn’t do any harm to the other person, and most likely they are not even giving a thought about us, the better it would be. We should rather strive to see the “unfortunate things” that happen to us as little tests to make us into a better, stronger and wiser person. And to turn it around, we should actually thank this person for giving us this “test” that strengthens us. And, as I have said in a previous article, forgiveness is not about acceptance of wrong behavior. It is our gift to ourself, not the other party. 1. If you are angry, irritated or frustrated, seal your mouth. Don’t say anything, don’t send any email, text to anyone. No-one wants to hear about your misery. The best thing I can think of is go out and take a walk. Maybe exercise. Take that anger out and burn it in the form of sweat. 2. You are angry because of your emotions, not because of what someone else did. Your emotions are your responsibility. Own up to it. You made yourself angry, so don’t blame anybody else for it. And only you can stop being so. 3. If you happen to open your mouth, do not raise your voice. Do not make threats. Do not make expressions to show your anger. Do not play the ‘sympathy‘ card. 4. Don’t drink or smoke. It will only make things worse. 5. Learn to respect others opinions, even if you disagree. Even if you think they are wrong, even if you can prove they are wrong. Respect their opinions. 7. Listen. Listen. Listen. And understand. 8. You have nothing to prove to anybody. Accept what you get and what you didn’t get. And move ahead. Maybe come back later to fight another day. 9. Don’t assume things for others. If you have a doubt, ask. But don’t make stories in your head. 10. If you still have any thoughts, write it down on paper. Then read it again and see if they are still valid. Cut off what is not important. After my last article in which I pointed out how being angry will only hurt us and how forgiveness is a gift, I have heard from many people asking for clarifications on what I meant. For most people, it is very difficult to even comprehend how can one somebody forgive a person who has done some wrong to you? Do we absolve the person of his crime or wrongdoing? Do we start accepting bad behaviour? In this post, I will try to clear these doubts and list out five things forgiveness is not.. This is the most common misconception about forgiveness. It is not about accepting bad acts or behaviour by saying that mistakes happen. Any act which is illegal or immoral remains so. 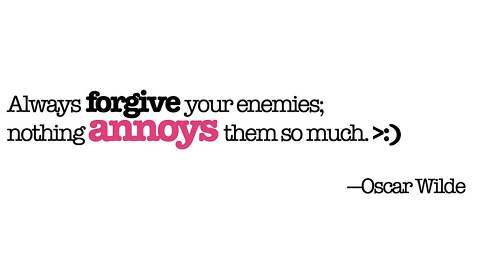 Forgiveness doesn’t mean approving of any such act. But at the same time, forgiveness is recognizing that it happened in the past, and making sure we don’t waste even a single second of the future by repenting or pondering over it. Even if you are willing to, forgiveness is not absolving the other person of a crime. 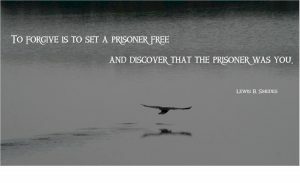 It is not about letting somebody free, it is about letting yourself free. It also doesn’t mean we approve of the same crime again in the future. In other words, it is not about forgetting and pardoning. You can forgive someone and then testify against that person is court. It has nothing to do with justice. There is nothing one time in forgiving, neither does it mean that after forgiving someone, you will not feel the pain of a bad act. If somebody killed your son, the memories will always hurt, and you might have to forgive the offender every time you feel hatred against him to set yourself free. In this sense, forgiveness is more of a journey. You can’t be more wrong if you think that by forgiving someone, you are doing him/her a favor. Forgiveness is like a gift you give to yourself, not to your offender. If you think you are showing mercy to someone by forgiving, then that is more about looking good than forgiveness. You forgive from your heart, not from your actions. The next time you forgive someone, make it a point to not tell that to anyone (maybe even to that person), that will be real forgiveness which will set you free. 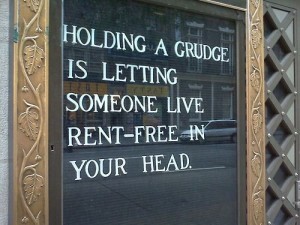 Forgiveness has nothing to do with the forgiven party, it is about you, and how you choose to behave and act. It is not a fine gesture, it is about acknowledging (not forgetting) the harm that was done, and despite of it, forgiving. Forgiveness is freeing yourself of any resentment and ensuring you not waste even a single moment thinking about the past act. It is living like the wrong act never happened. Always remember, forgiveness is neither forgetting nor reconciliation. It takes one person to forgive, but it takes two to reconcile. You might reconcile or not, but you can forgive nevertheless and be free. And only you can give this gift to yourself. We all feel anger and hatred at different times, and at different people. Whenever something doesn’t go according to our expected response, or there is an unexpected event like an accident or death of a loved one, the normal human response is to feel anger and hatred towards a person or community. It might also show as resentment towards life in general. Anger and hatred are emotions which occurs in different intensities on different situations. The anger at someone who just jumped a signal in front of you is different from the anger at someone who just pick pocketed you. Similarly, the anger of being cheated by a loved one or a business partner is different from the anger you might feel towards a man who kills your son or daughter. According to me, there is nothing unnatural in getting angry and hating someone. It is very human to do so. Shouting, hurting or just blaming somebody else temporarily makes one feel calmer and less stressed. It justifies our own actions and makes us prove the other person wrong. But it is only as temporary as the relief provided by drugs or alcohol. If you must have observed, people who get angry once often tend to get angry again at different people and situations. Venting their anger on someone becomes like a relief or stress reliever. As with all addictions, being angry at somebody is like throwing hot coal on the other person with your bare hands. 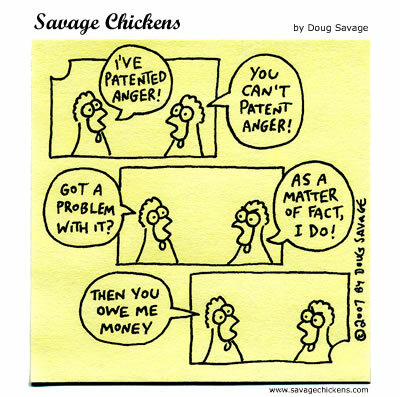 As Mark Twain rightly remarked, anger is an acid that can do more harm to the vessel in which it is stored than to anything on which it is poured. But yet everybody does it. Why? Because we are unaware (knowingly or unknowingly) of the fact that it harms us, just as an alcoholic or a drug addict is unaware (or choses not to see) the harmful effects of them. Anger is more like a trap that keeps us from living and keeps our mind occupied in something that happened in the past. I have seen many people who have continued to hate others even after the other party is dead or suitably punished by law for their misdeeds. By hating, they are drinking poison hoping that the other person will suffer! So what must, and what can one do? It would be simple to say that we can control our anger and forgive. Yes, we must forgive our wrong doers and move on with life. We must realize that it’s part of the game. But if it would be so easy, I would not have been writing this article. Forgiveness means different things to different people. Forgiveness is very personal and it is more of a choice, a tough one, and it takes a big man to forgive. It is also a journey, and not an one off event or gesture. We can forgive small or big acts, against a person or a group. It is not acceptance, but a gift from one individual to the other, and to himself. But there is a time for acceptance and forgiveness. If someone were to murder a loved one of yours, no-one will expect you to forgive that person right away. Soon after an event, a person is in shock. But after a few months, you can forgive if you choose to. 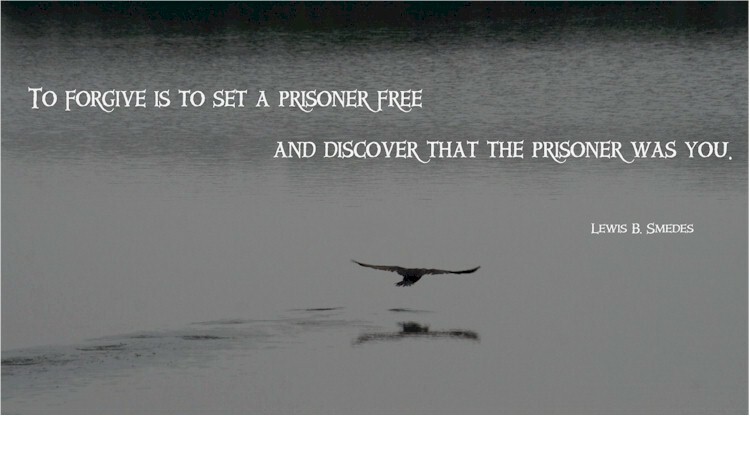 By forgiving others, we can be at peace and feel freedom from the trap. It allows us to move on with life and make the best of it. Past events can not make an impact on your future post forgiveness. Extra – Let me tell you about a twenty six year old American woman Amy Biehl, who was murdered in South Africa in 1993. Four men were sentenced to 18 years in prison for the crime, but later they pleaded for amnesty which the family of Amy supported by letting go of their anger and hurt. Not only that, the family started the Amy Biehl foundation in South Africa to carry on Amy’s work and even gave jobs to two of Amy’s killers, after their release from prison in 1998. May we all have the reservoir of forgiveness which Amy’s family has shown. And in the words of Amy’s father, Peter Biehl, “It just absolutely sets me free”. Read the full story here.